EHS Racing offers dyno services to everyone using our DYNOJET 250IX ATV & Motorcycle dynometer. We are capable of creating custom fuel maps and tuning for all EFI devices. Jetting all carbureted ATV�s and motorcycles. Our dyno is equipped with an AFR sniffer for precise tuning we also have a data logger that we can hook up to your atv or motorcycle with a welded in O2 sensor for further road and track tuning. Run consist of usually 3 pulls or whatever it takes to gather enough data to be consistent. Tuning Sessions are based on $100 per hour flat rate, prices below reflect what customer can expect for general cost. 1. Customer must insure that the fluids are at proper levels (we will usually check but not mandatory). 2. Drive train must be secure if your chain is loose and we need to stop and adjust it we will charge shop rate. We don’t mind doing but most people are capable of keeping thier chains tight and do not need to pay us to do it. 3. Vehicle must be clean. Again if there is an abundance of mud or debris on the quad or motorcycle we will charge shop rate to clean it. Our dyno is not cheap so we try very hard to keep it new. 4. You will need to fill out a release form at our location stating what the maximum rpm we can rev the engine. 5. We have a descent supply of ATV tire/wheel sets that can be used for dyno runs this is included in the dyno pricing. If you are unsure if we have something that will fit your ATV please call ahead. Motorcycles are generally ok because they already have street style tires. 6. If your ATV or motorcycle coil, or spark plug wire is in a location that needs plastic or fairings removed please do this ahead of time otherwise we will have to add additional labor time find a valid RPM signal. We can get AFR and HP without a rpm signal but if using data for tuning you will want to reference them together. 7. Please make an appointment. If you are driving by or on short notice we will try to fit you in but we can not guarantee it. There is never a time that someone is just sitting around we are always very busy. 8. If you are running a LEADED Fuel or a 2 STROKE we will have to charge an additional fee to cover the cost of our 02 SENSOR. Both of these will severely age the sensor prematurely, if you require extensive tuning or have several models we can sell you a sensor that can be used for your own equipment. 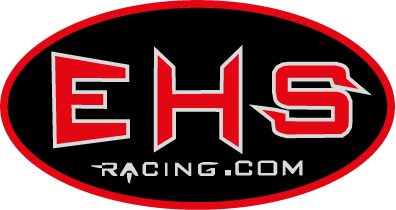 EHS Racing’s Dyno is located in Rockingham, NC 28379 just .5 miles south of the Rockingham Dragway. We are in about 30 minutes north of the South Carolina border and 120 miles West of the Coast for ball park directions.